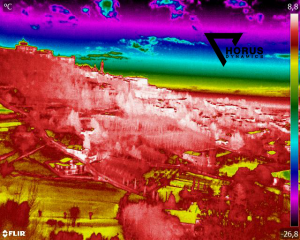 The Bergamo thermography service offered by Horus Dynamics allows radiometric analysis with high precision drone rad. Our professional drones are capable of recording radiometric video with FLIR A65 thermal imaging cameras. We have several drones to meet all the requirements of service and equipment always updated, in order to maintain the highest technological standards. For our thermography services we commit to FLIR technologies and professional applications and drones directly developed by Horus Dynamics. Drones also have a “standard” RGB HD camera that can be equipped with additional sensors and other on-demand cameras. Thanks to our FLIR cameras we produce radiometric footage, dedicated to those who have the highest requirements for unprecedented inspection surveys. By taking advantage of the drone’s secondary camera, in color, you will also get a full HD comparison image. Ensure the best with the thermal imaging services with drone Horus Dynamics. Ammorsature between masonry structures with different textures and materials. 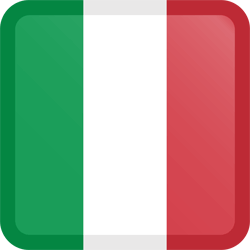 Thanks to the thermal analysis of heat points in electrical systems and losses it is possible to reduce costs and increase the efficiency. Discover the potential of the Horus Dynamics thermography services, our drones can help you to maximize the efficiency of the plants to prevent failures. Contact us for a quotation for a photo inspection or for more information.